“For our wedding, we wanted the best photographers… With Steven and Lily, we got better than the best. Their photos are irreplaceable. Aside from their talents as photographers, they are awesome people!!! They are kind and so much fun to be around. I remember being in tears at one point during our engagement session because they had us laughing so hard!! 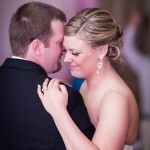 !“ – Brandi P.
“Let me start by saying that I had high expectations when it came to finding a wedding photographer. My twin is a photographer and graphic designer, so the importance of not only capturing every moment but capturing it WELL has been drilled into me since we were young. 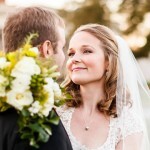 They were exactly what wedding photographers should be and so much more. They completely won her approval on the day of, and definitely when she saw the pictures- which made me even more sure we had the best since she is very picky! Out of all of our vendors, they were our favorite and I would recommend them to anyone.“ – Allie D.
“Look no further…you have found your photographers in Steven and Lily. We had an engagement session, bridals, and wedding day coverage with them and love EVERY SINGLE picture. Having them as our wedding photographers was the absolute best decision I made in the wedding planning process“ – Brittany D.
“Best Photographers EVER! Steven and Lily were recommended to us through a friend who is also a photographer so I knew from the beginning we would be in good hands. Even though we hadn’t met in person prior to our wedding, we felt as though we knew Steven and Lily like old friends.“ – Allie C.
“Steven & Lily Photography is the BEST of the BEST. They LOVE what they do and LOVE to meet new people and to be a part of their special day – I cannot stop looking at my amazing wedding pictures. We are so blessed to now call Steven & Lily friends of ours.“ – Krista M.
“I don’t even know where to begin! Steven & Lily are AMAZING!! Photography was a very important aspect for us when it came to the wedding, and they were everything we wanted: two fun and outgoing people who we could really relate to, and who would make us feel so comfortable in front of the camera!“ – Mallory N.
“I knew from the moment I met Steven and Lily at our engagement shoot that we made the right decision to hire them for our wedding. They were incredibly down to earth, super patient, and made us feel comfortable about getting our pictures taken—especially since being in front of the camera was not something my husband and I were thrilled about! Oh, and the result? Absolutely stunning pictures! We loved every single one. “ – Sarah K.
“OMG, where to start?! These guys are FANTASTIC! Steven and Lily were on the ball the whole way through. From the very beginning of the planning process to the good-bye send off. They were very attentive and made sure that everything was captured perfectly.“ – Erin C.
“Our wedding day was wonderful and over so fast it was hard to process. When we got our pictures back, it was like re-living the day. They captured all of the moments we remembered – and many of the ones we missed. My husband actually admitted to enjoying himself during the shoot. 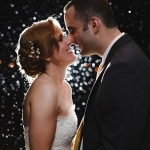 They put us both at ease and as a result we got some great pics“ – Tara A. “They captured the wedding better than my husband remembers it!“ – Beatrice A. “I personally think that the photographer is the most important wedding vendor, so I was extremely selective when choosing. 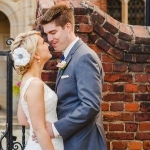 Steven and Lily had us talking and laughing…and our pictures turned out great!“ – Claire J. 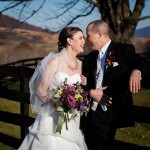 “The pair exceeded our expectations in every way possible, and captured our engagement and wedding weekend perfectly. We couldn’t be happier with how our photos turned out or with our experience working with Steven and Lily! 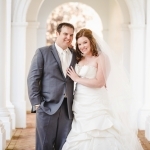 “ – Lindsey G.
“They are a super nice, easy to love couple who is also recently married, so they understand what brides/grooms are going through, what is important to you, etc. I can’t tell you how many times I have told people that I liked my photographers so much that I wanted to stay friends with them after the wedding! I recommend them with gladness as our favorite vendor of our entire wedding!“ – Stephanie T.
“What I keep hearing from guests at the wedding was that they hardly even noticed they were there and when they did, they couldn’t get over how incredibly friendly both of them were-fit right in with everyone. I also keep hearing how guests wish Steven and Lily had been around to capture their own weddings! 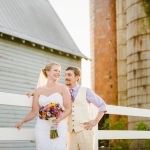 And then there are the pictures themselves…phenomenal.” – Kelly S.
“Steven and Lily were AWESOME! They were flexible, creative, energetic, talented, and worked so well together! From the moment I met them, they felt like old friends! My family, friends, and new husband were blown away with how well the pictures turned out!“ – Bethany F.
“Steven and Lily were fantastic! From the very beginning of the wedding planning process they were so great. We planned our wedding from out of state and my husband was deployed for most of it. The quality of our photos is unbeatable, and we couldn’t be happier! !“ – Rebecca M..
“S&L did both our engagement photos and our wedding photos and I am EXTREMELY happy with the way they came out. It is really hard to choose favorites because the colors and quality of the images is striking.“ – Jenni R.
“Steven and Lily were fantastic! As an amateur photographer myself I’m sure I was a pain in the “interview” process, but they were very friendly and extremely accommodating. The clincher was the family shots. Lily had everyone (20+) smiling…EVERYONE (even the in-laws 😉 I’ve never seen anything like it. Her energy continued all day and she could keep everyone smiling, even after the muscles go numb.“ – Anthony M.
“I remember feeling like a celebrity the night of my wedding because Steven or Lily was there every time I turned around! We had a few surprises at our wedding that my husband and I hadn’t warned anyone of and Steven and Lily quickly adapted and kept going without any notice. From our engagement photos, to my bridal portraits and the wedding photos S&L were timely, creative, energetic, professional, and a wealth of knowledge. 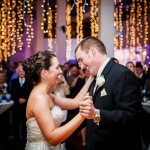 As husband and wife themselves, they worked well together to recognize and create fun yet romantic memories.“-Megan H.